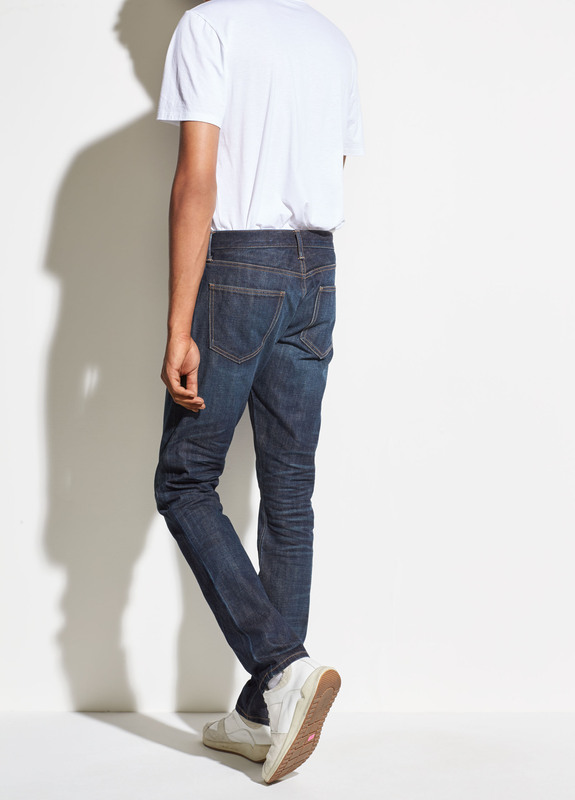 Rigid selvedge denim for every day. Crafted in premium Japanese cotton, cut to a slim fit and treated with a dark vintage wash—finished for an authentically lived-in look and feel. 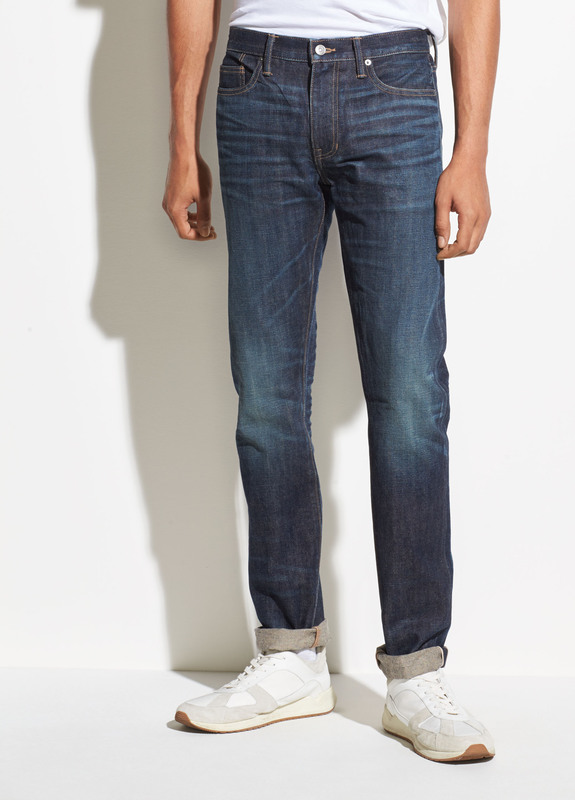 Model’s height is 6’2", chest 38.5”, waist 31.5”, inseam 32.5”. Model wears size 32.